Ada pertanyaan untuk Hotel Koresco? 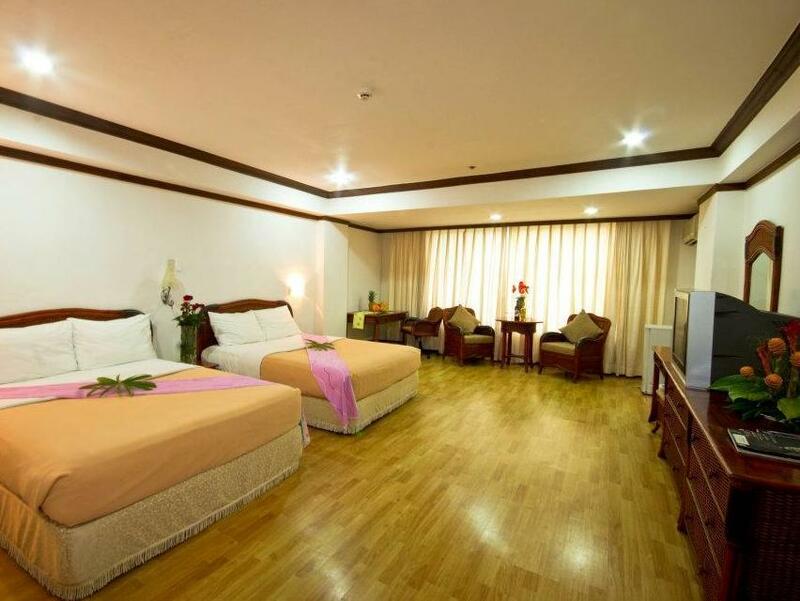 Terletak strategis di Upper Cagayan De Oro, Hotel Koresco adalah tempat ideal untuk memulai menjelajahi Cagayan De Oro. Hanya 7 km dari sini, hotel bintang 3 ini dapat secara mudah diakses dari bandara. Lapangang Golf Pueblo De Oro, Pryce Memorial Garden, SM Mall juga bisa dijangkau dengan mudah. Di Hotel Koresco, pelayanan istimewa dan fasilitas yang unggul akan membuat pengalaman menginap Anda tidak terlupakan. Fasilitas terbaik hotel ini termasuk satpam 24 jam, toko serbaguna, layanan kebersihan harian, kasino, resepsionis 24 jam. Sebagai tambahan, semua kamar tamu memiliki sejumlah kenyamanan seperti kamar bebas asap rokok, AC, meja tulis, balkon/teras, kipas angin untuk menyenangkan semua tamu. Disamping itu, hotel memiliki berbagai pilihan fasilitas rekreasi yang menjamin Anda melakukan bermacam hal selama menginap. 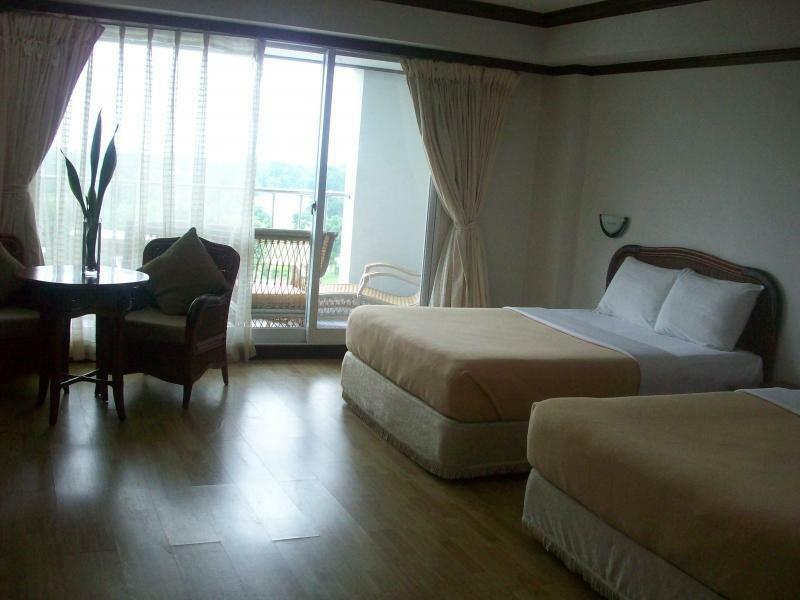 Apapun tujuan kunjungan Anda, Hotel Koresco adalah pilihan istimewa untuk menginap di Cagayan De Oro. Would not recommend this hotel to anyone. 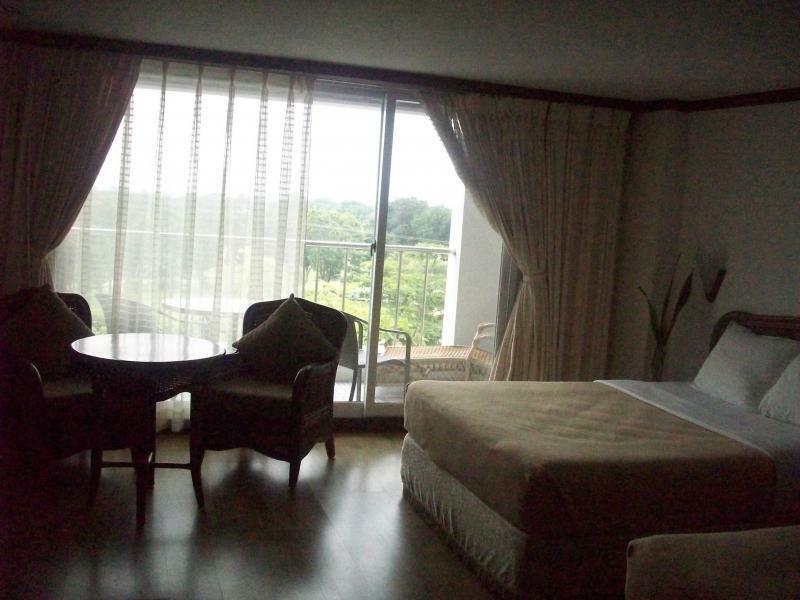 The rooms were big but the mattress and bedsheets were dirty, the ac was not in good condition. We had to covince the staff that they have to move us to another room but still it was dirty. Especially the bathroom, fixtures were old and filthy. There were dirt in between the tiles, they place a rubber mat in the floor which hasnt been cleaned for years. Looks like they never upgraded the tiles and the fixtures since it was built. The smell of the room was so unpleasant. I will never go back to this hotel again. The receptionist was not nice, the pool was dirty, the room was dirtier but the cr was the dirtiest! While staying in the hotel, the air conditioner broke down a lot of water has run out. There was a desk that under faulty air conditioner. all got wet, so I had my bag on the desk, clothes, personal belongings, some could not use. To move to another room in the middle of the night, I have suffered great inconvenience. Because it was moved again to pack up all my baggage. Koresco hotel did not apologize to me at all. Koresco is only convenient to use Pueblo golf course, but the facilities were underdeveloped. I stayed in this hotel bec it was nearest Pueblo Golf Club the venue of our tournament. The hotel is so deceiving bec it looks decent and modern from the outside. The hallways were dark and dirty! The stairways was terrifying i felt like I could get mugged using the stairs bec it was dark and lights was like flickering. The bathroom was frustrating sometimes the hot water would stop on you! There were a lot of leaks on the toilet floor which I dont know where it came from! There was no wifi in the room and the the wifi in the lobby was turtle slow! Overall this hotel should be shotdown and stop operation! The location was perfect for the tournament. The players did not have to rush. The staff were efficient. But the hotel needs some sprucing up. Its a bit old and could use a coat of fresh paint and prettying-up. Charged extra for a second person. Didn't get any bottled water in room after the frist day. Weren't going to give us the advertised airport transfer til I pushed for either a ride to airport or partial refund. the food was good, the room was comfortable. there was no hot water though in the shower. and the massage had to be paid in cash, no credit card, which was very inconvenient. also, the front desk personnel stationed at that time did not even mediate between us and the massage management to sort out the inconvenience of us not being able to pay with a credit card. he had us arrange directly with them. i had to travel to sm to withdraw and come back. that was not good at all. Large room & bathroom. Korean tourist "off season": high point of our stay! beds were too soft; aircon was noisy and probably too small for room size. empty room fridge with NO complimentary water as tap water was not portable! Zero room service as we couldn't even order bottles of water! Street lights comes thru the curtains. Only hotel restaurant Ambrosia's food was poor and lots of flies! If you wish to go into the city, it will take upto 30 minutes for a taxi to arrive! Only reason to stay in this hotel is if you wish to play a round at the Pueblo de Oro golf course! The hotel is big by land area. It has a golf course, swimming pool, and other amenities. The rooms are huge.. good enough for 4 people. The staff are friendly. Had a wonderful stay there. Warning! The hotel lies just at the end of Cagayan airport which means planes taking off and landing fly just overhead. The noise in the morning and early evening can be very alarming, but I had earplugs. By day two and three I was used to it, and quite enjoying the thrill of low-flying aircraft as I took a dip in the pool. Another peculiarity: I was the only non-Korean guest during my stay at the hotel. It's all set up for large groups of Korean golfers, and even the breakfast food was mainly Korean. I can't say it was a problem at all, just a striking phenomenon. The great plus of the hotel is it's huge golf course/park surrounds. Very pleasant to look at and walk around. An idyllic oasis from the traffic chaos of the city itself. 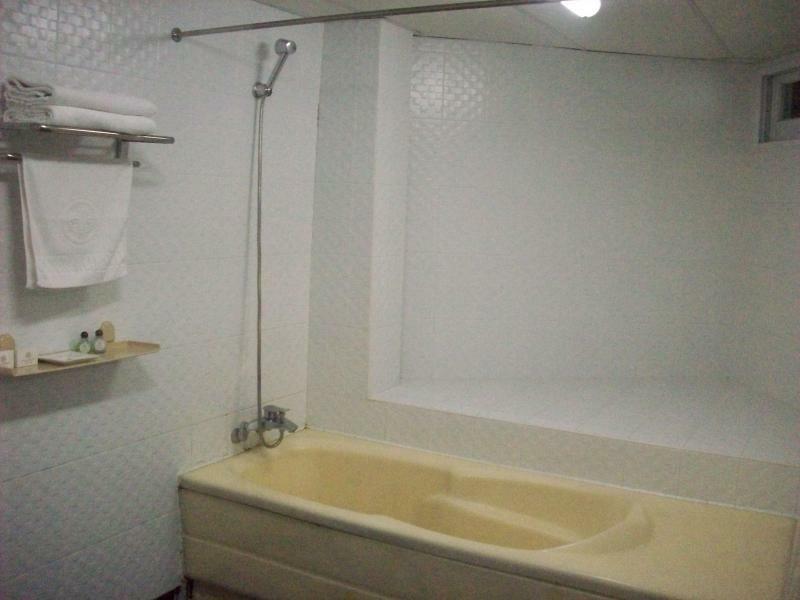 As for the facilities, the room was spacious and the swimming pool pleasant. The hotel was not very full perhaps because of the recent floods, but I imagine if the pool was packed it would be unpleasantly noisy. Not sure what the peak season would be, but for the New Year it was nice to have few people around (except for a large group of noisy children who came in for a splash on New Year's Day). On the other hand, there was no computer for email and the gym machines were nearly all broken. Since the hotel was relatively expensive, I wouldn't say it provided value for money really. It's really oriented towards golfers. 1. The food is terrible. I ordered fish that smelled horrible. 2. The beds need replaced. I could hardly sleep. 3. The rooms are not cleaned properly. The maids even forgot to give me towels 2 times. 4. I did not even like the bathroom, It has a large dirty mat that hurts your feet when walking on it. 5. Bad location. Its far from the city and you will get awaken by air planes starting at 6:30 am everyday. 6. I would not stay at that hotel again if they paid me. I had an ok stay at hotel Koresco. It's located near the airport (5 minutes complimentary shuttle ride). The deluxe room which I booked was quite spacious (50 square metres). However, there were some basic amenities missing as standard (hairdryer, kettle, kitchen knife, DVD-player, & WiFi inside the room). The good thing is, you can borrow all items at the frontdesk without extra charge. Just the DVD-player is not available which is a pity. Wifi signal at the lobby only. There's an SM mall located nearby. The room is big and spacious. the hotel's surrounding is quiet but rundown. it is quite a distance walking to the sm mall. 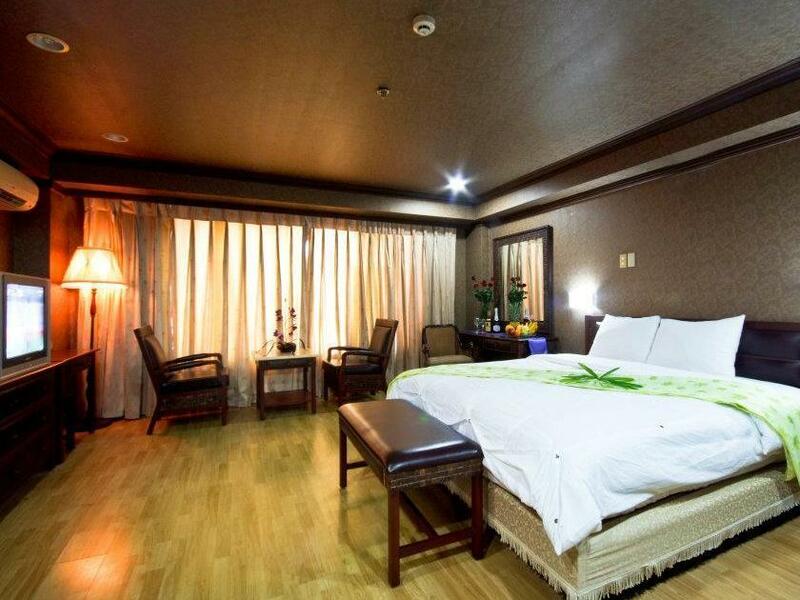 it more to a 2 to 3 stars hotel instead of 4. the staff are quite helpful and friendly. the room is big and spacious. food in the hotel is average. Nice and friendly staff, golf facility if you like to play golf. Personel were service-minded and very friendly and they did the best they could. i found the staff very polite and helpful. the dinning experience was nice with plenty of variety. Great Location with good Service. Great Location and great staff. They Offer shuttle service to the airport. Great way to enjoy CDO.